Dean is among a rare breed of professionals because he possesses wide-ranging experience and certifications in the fields of law, estate, tax and financial planning and accounting. Over the past 10 years alone, Dean has created more than 2,000 estate plans and every year he handles more than 300 complex tax returns for business and families. Currently, he manages the wealth of more than 110 hard-working families. Dean is a Certified Public Accountant and has a B.S. degree and a J.D. degree (1981) – both with highest honors – from DePaul University. He is licensed to practice law in Illinois and Pennsylvania. 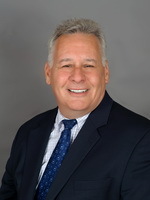 He is also a Registered Investment Advisor and has served as an education advisor for the American Academy of Estate Planning Attorneys, of which he’s been a member since 1994. His reputation as one of America’s foremost estate planning advisors has made Dean a sought-after speaker who has made presentations at more than 500 events attended by legal, financial and health care professionals. Dean is also a prolific writer who has co-authored four books, Strictly Business: Planning Strategies for Privately Owned Businesses, Total Wealth Management, Love, Money, Control: Reinventing Estate Planning, and Cut Your Tax in 2010 (And Preserve Your Legacy). Dean welcomes your emails at dhedeker@hedekerlaw.com. Dean earned both his undergraduate and Juris Doctor degrees with highest honors from DePaul University. He became a Certified Public Accountant in 1977. Following law school, Dean spent six years with an international accounting firm. He began his own legal practice in 1987, concentrating on both tax and estate planning. Practicing the dual role of attorney and Certified Public Accountant gives Dean unique qualifications when addressing the tax and legal issues inherent in estate planning. Mr. Hedeker is also a Fellow of the American Academy of Estate Planning Attorneys. Jeff has a wealth of expertise in real estate, corporate and business law, as well as in estate planning. 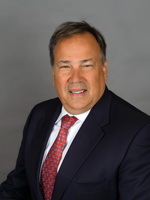 For more than 30 years, Jeff has helped clients with a variety of needs including estate planning, estate and trust administration, taxation, real estate, corporate law and business law. He joined Hedeker Law in December of 2012. Jeff graduated with Honors from the University of Illinois in 1979 with a BS in Accountancy and received his Juris Doctor, with Honors from DePaul University College of Law in 1982. Jeff enjoys spending time with his wife, Paula, and their children: Emily, Abby, Alex and Andrew. Sandy is the Executive Director and oversees operations throughout the Law Firm. She strongly believes in Hedeker Law’s ability to help clients preserve, protect and grow their wealth. She specializes in event coordinating and marketing for both sectors of the company. Sandy also oversees the planning and execution of all marketing for Hedeker Law. As Marketing Director, a role she’s held since 2008, Sandy is responsible for the firm’s workshops, seminars, client appreciation parties, and trade show activities. Additionally, she helps represent the firm at professional and trade association meetings across the country. 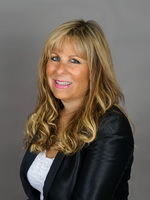 Sandy has more than two decades of experience as an entrepreneur, including opening her own full-service dental laboratory, and launching an event planning agency. Before joining the Hedeker Law, Sandy had been a business owner since 1986. She became a Certified Dental Technician in 1982 and soon after started her own full service dental laboratory, handling all aspects of the business including management, sales, marketing, bookkeeping, payroll, customer service, and exhibiting at national trade shows. She built the company to servicing more than 300 dentists daily and employing more than 28 full time employees. She sold the company in 2001 and started an event planning company coordinating large, high-end corporate and private events, weddings and Bar/Bat Mitzvahs. Sandy lives in Riverwoods with her husband Dean and their three daughters and son. 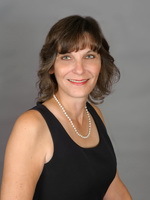 Cristina has been with the firm since 1998. She runs the day-to-day administrative operations and directly supervises the staff. Cristina is a graduate of Maryknoll College with a BA in International Studies. After marrying her husband in Los Angeles and giving birth to her two sons, she moved to the Chicago area. She enjoys spending time with her family and friends, eating healthy, travelling, and enjoying the change of seasons. 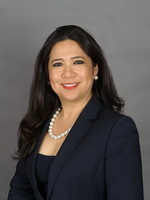 Irene Booe has more than 13-years of experience in estate planning. Irene handles Trust Administration for the firm including meeting with clients and preparing their legal documents. She also manages the company bookkeeping. 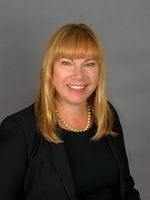 Julie joined Hedeker Law in August of 2015. She regularly meets with clients and prepares their legal documents. Julie handles the planning and execution of the law firm’s client events and seminars. She also oversees the firm’s website, social media, and marketing campaigns to grow the business.